Citrix has acquired Sapho, a leading micro app platform which it will use to enhance the guided work capabilities within Citrix Workspace to enable simpler, smarter and faster ways to get things done with enhanced guided work capabilities. 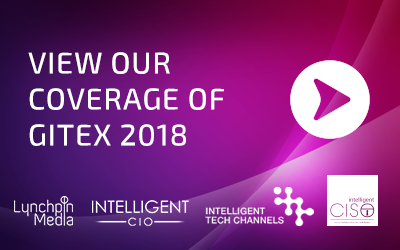 “Employee experience will ultimately determine winners and losers and Citrix is committed to delivering intelligent digital workspaces that give companies an edge,” said Troye Managing Director Helen Kruger. Citrix delivers intelligent digital workspace solutions that fuel a superior employee experience by organising work so it is more convenient, automating it so that it’s simpler and delivering insights that make it smarter. Using Citrix Workspace, companies can give employees flexible access to all the apps and insights they need to work where and how they want and be productive in a single location. They can also leverage innovative technologies such as Machine Learning alongside simplified workflows to organise work and guide employees through their day, automatically serving up tasks they need to focus on, and the intelligence needed to get them done quickly. Kruger says Sapho enables businesses to replace their complicated systems with micro apps and modern workflows that deliver the consumer-driven experience that employees have come to expect. “Employees can now get things done faster, they are more productive and are happier with the experience the company is delivering,” she said. Using proven, pre-defined APIs that integrate with leading enterprise applications and more than 50 micro-apps for applications such as Salesforce, Workday, Concur, ServiceNow, Outlook and Google Drive, companies can effectively guide employees through their most common work so that they can get things done and move on. “Technology can improve employee experience by helping people to be more productive,” added Kruger.